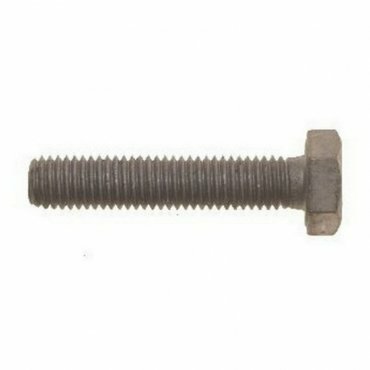 These set screws are made from grade 8.8 steel. Galvanised for increased resistance to corrosion. They are fully threaded and conform to DIN 933 standards. Can be used with many nut types and washers. For fastening together numerous types of material or to be fastened in to pre-tapped holes. Widely used in many engineering applications. Galvanised coatings prevent oxidation of the protected metal to create a longer lasting finish. It does this by forming a barrier and by acting as a sacrificial anode if this barrier is damaged. Galvanising is a plating that (in contrast to iron oxide) does not trigger a breakdown of the substrates surface integrity as it is formed. The galvanising, if left intact, can act as a barrier to further oxidation, in a way similar to the protection afforded to aluminum and stainless steels by their oxide layers.